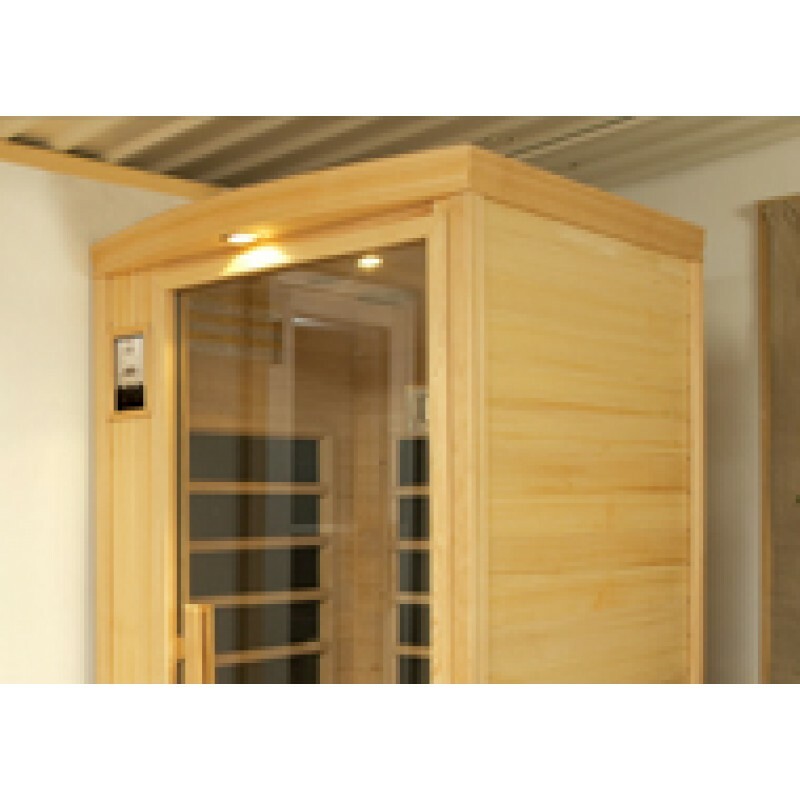 Infrared Panel Built Prefabricated Sauna Room is 39 1/4" x 36" x 76 3/8', Seats 1 person, Cedar, Includes dual controls, color light therapy, stereo, and interior/exterior halogen lighting. Infrared saunas not suitable for outdoor applications. Ask about our custom infrared saunas and retrofit services.